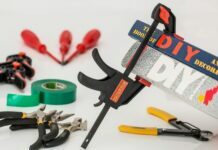 Poorly organized living room or dining area can make a lot of nuisance and problems. The free space is never enough. 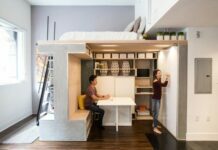 To maximize space and organize the small space as simply as possible, you need furniture that has multifunctional yet compact design. So live smart! You don’t need bigs table or chairs that waste your space. You can shrink it or make its disappear while not in use. You can look for such space saving table and chair or create a custom-made furniture that will suit the area in which you will place it. 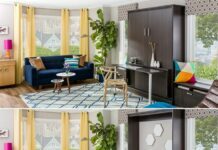 There are many brilliant examples for decorating the kitchen, dining or living room in a small space, and we will show you some practical and compact table and chairs ideas that will improve your quality of life and saves your precious spaces. 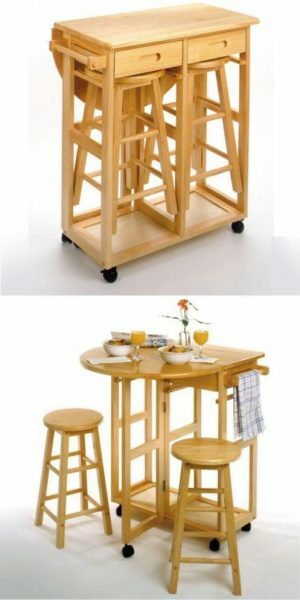 Stackable bench and table furniture set will save much your place. Can be put together like pieces of a puzzle and they all fit in a compact unit that resembles a rocket. 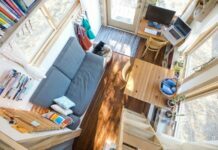 Genius design with the concern of small/tiny house. 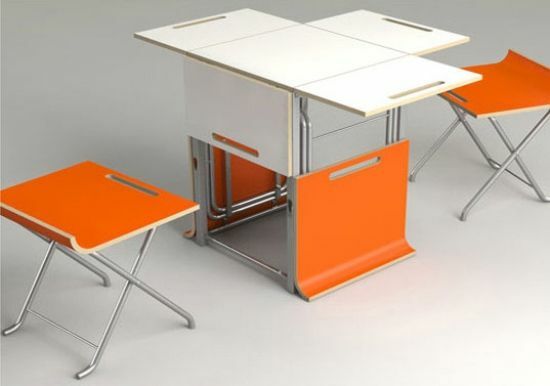 The main attention is the leaf folding table that has storage to keep the folding chairs. 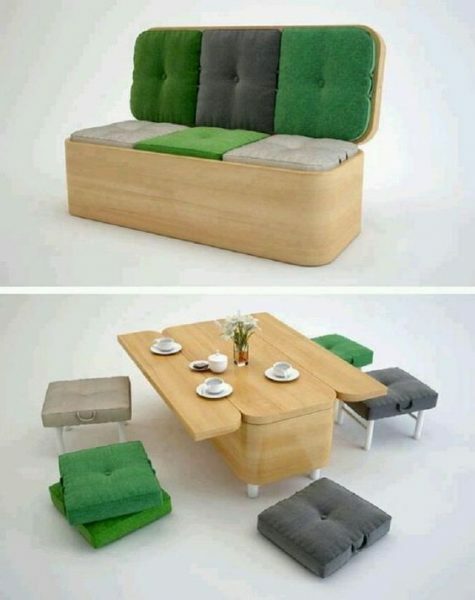 The chairs also can be used as the cushions. This cube designed by a Japanese designer. 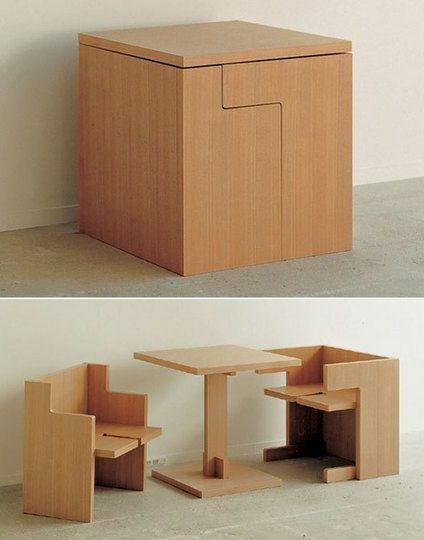 When assembled, the cube disguised as counter and occupied little spaces. 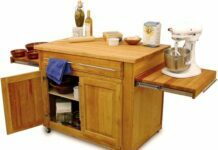 This compact piece of furniture ideal for small kitchen space in the most adorable way. The four chairs are carved out to surround the table’s base. 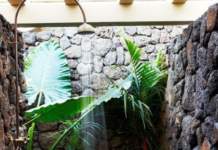 The design is worth imitating. 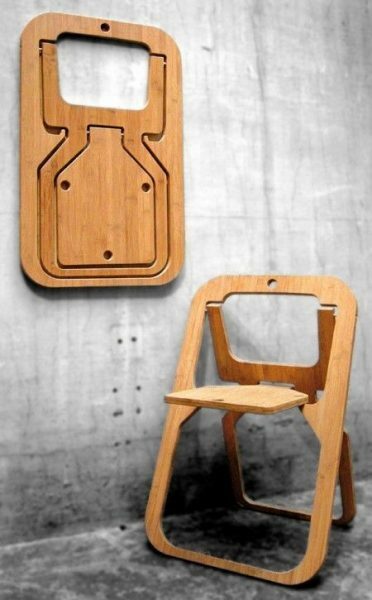 Highly functional modern day furniture made of laminated plywood. 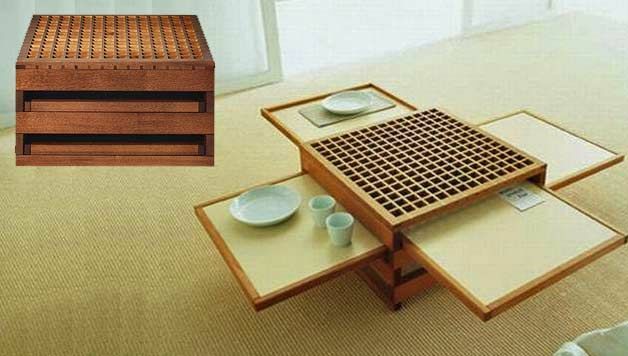 The little storage cube can be transformed into a full dining table in an ease that even kids can do it pretty easily. 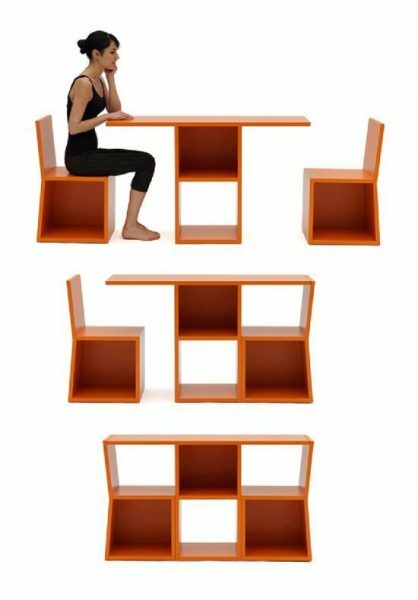 It has a unique storage design which smartly hides the table and chairs into the cube making plenty of space for other furniture stuff. 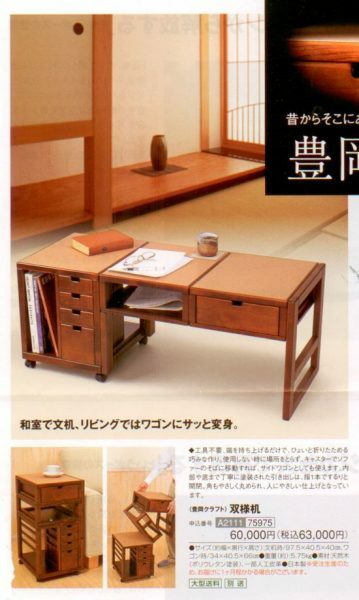 The design is very simple and reminds me of Japanese traditional dining sets. This neat table with four leaves created by Sculptures Jeux just perfect for a small spaces and tiny houses. Drop Leaf Kitchen Table with 2 Round Stools from hayneedle. 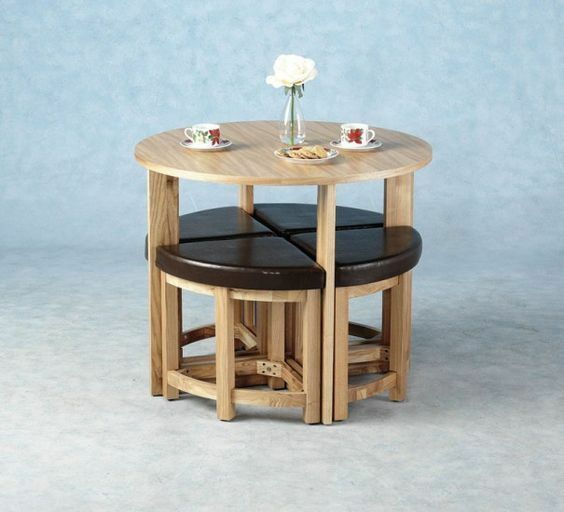 The counter-height compact table set can be multi-purposely used in dinette as well as a bar table in the living area. Don’t worry about small kitchen. 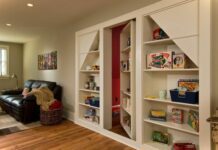 You can also include a cozy dining area or breakfast nook on your limited spaces. 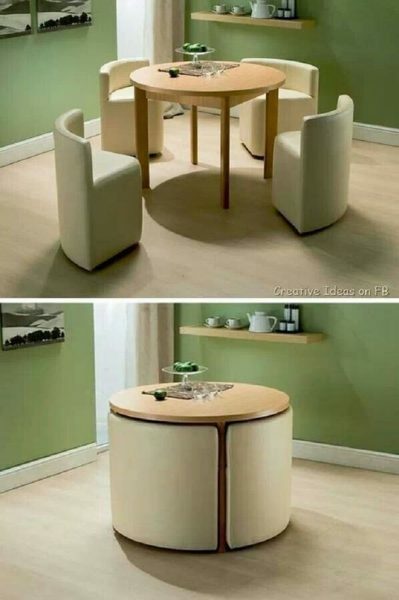 You just need the right furniture, like this space saving table and chair that united in round shapes. 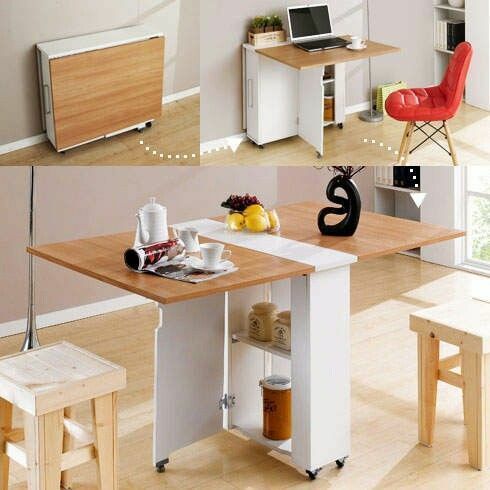 You can have rack, chairs and tables without worrying about your space. 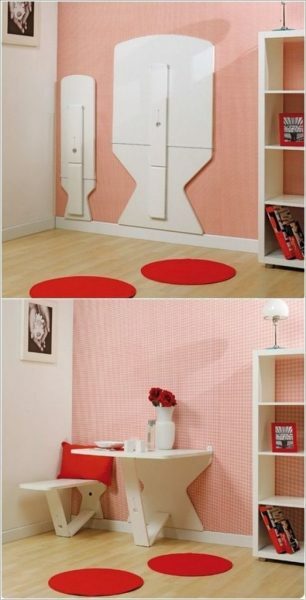 Really unnoticeable and saving plenty of spaces. 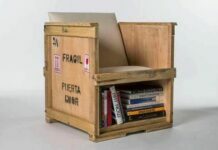 I think it’s suitable for kindergarten furniture. More simple table and chair set that look like shelves. 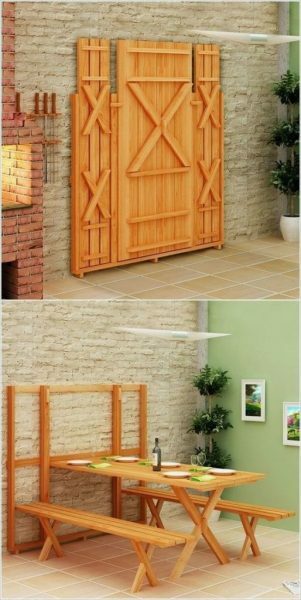 This folding wall table really saving plenty of spaces with simple and practical ways. Just pull down the table and chairs together when needed. Unique and creative folding down picnic table. 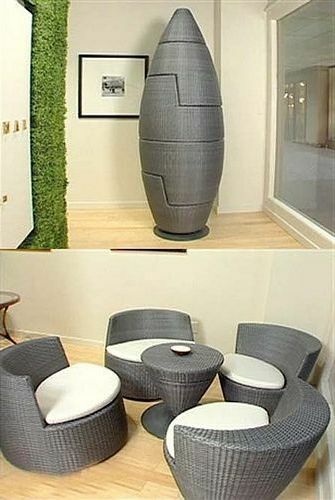 This is a super smart space saving table and chair furniture for your little garden. You can even put it in your car outside parking, and fold it back to the wall when you’d like to park your car. This is what practical industrial design looks like. French artist, Christian Desile, created this Attractive and functional chairs from one single slice of bamboo & PET, making them truly sustainable. Go from compact to “ready for dining” in a second! This drop leaf table is a contemporary style dining table with store cutlery, table napkins, and candles in the six drawers beneath the table top. Impressive desk folds into an end table design. Unfortunately, these products are only available to Japanese residents. This is definetly my most favorite of all. Love the colors and the dimentions just perfect for my conditions.